It sounds easy enough to “throw some shrimp on the barbie”, but anyone who’s done it may beg to differ. In reality, the process often ends up with a few expensive shrimp actually lost down inside the barbecue pit, never to be rescued. So, you place them onto skewers. Shrimp on skewers look great and are fun both to serve and to eat. But, trying to cook them is still a real challenge as they begin to spin around on the skewer while you struggle to flip them over midway through cooking. What you often end up with is a stack of half blackened, half undercooked shrimp. These problems can be solved with a simple little trick when skewering. 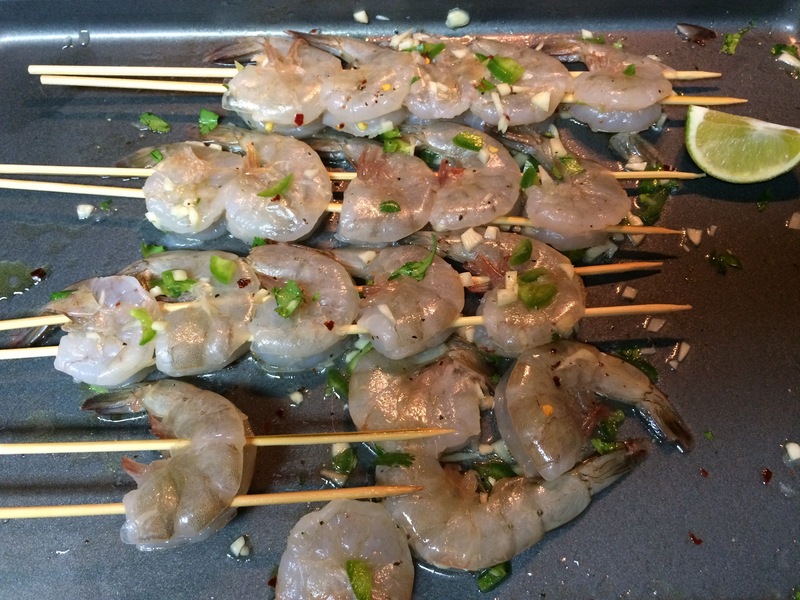 Take a look at this simple solution to the successful skewering of shrimp. The solution to all the problems with skewering shrimp is actually quite simple. 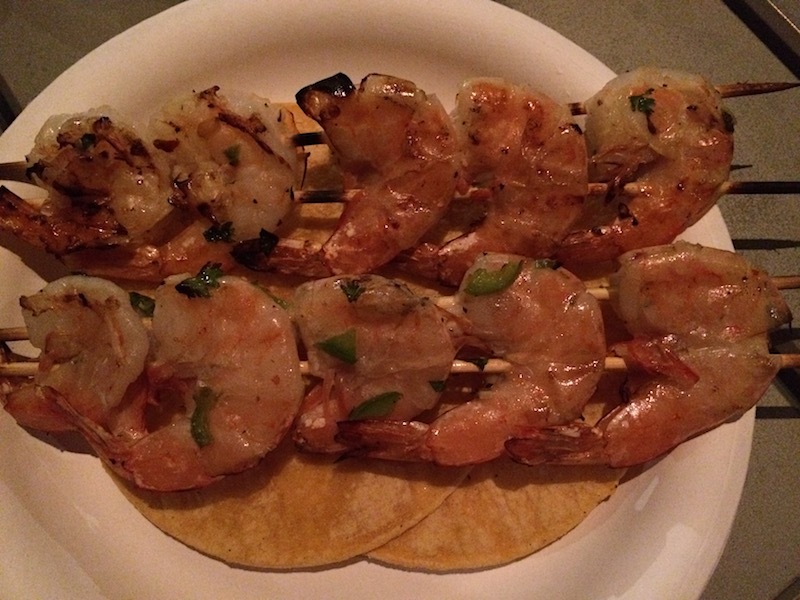 Instead of just one step to skewer a shrimp, it is two steps. Not to worry, it is actually just a repetition of the first step! The secret of how to skewer shrimp is to double up on the skewers. Thread the shrimp onto two skewers instead of just one. 1) Thread a skewer into the center of each shrimp on the right side. 2) Repeat with another skewer on the left side. Note: If you’re agile, you could even thread both skewers at the same time! We like these thin bamboo skewers. Soak them in water for 20-30 minutes prior to using them in order to prevent the ends from charring. Turning the shrimp skewers will be easy because all the shrimp will remain in place as you flip them over as one intact unit. This way, both sides of the shrimp are sure to be fully cooked – without some parts being charred while others are undercooked. Use a silicone pot holder when turning so that your fingers (and the pot holder) will be saved from the fire. To find out more about barbecuing vegetables, see our post on how long to grill veggies.